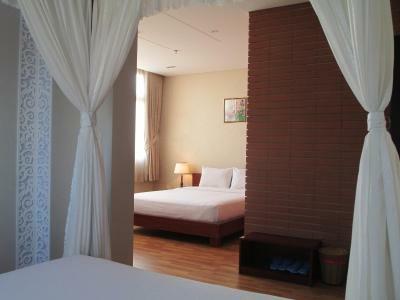 Lock in a great price for Anh Dao Mekong Hotel – rated 8.3 by recent guests! Good location. Easy to get to attraction sites by taxi. Except the floating markets, most pagoda and fruit farm are easy to get to by taxi and much cheaper than by boat or tour package. 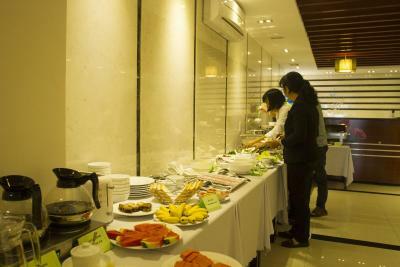 Hotel prepared take out breakfast early in the morning for us to go to floating market. Hotel's restaurant didn't turned us away when we arrived just around its closing time. 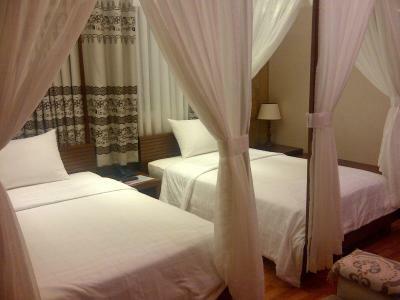 good location, comfortable room and very friendly staff - they arranged early check-in and late check-out for us, prepared us breakfast when we were leaving very early for the floating market tour. They were very helpful with everything, definitely recommend staying there! 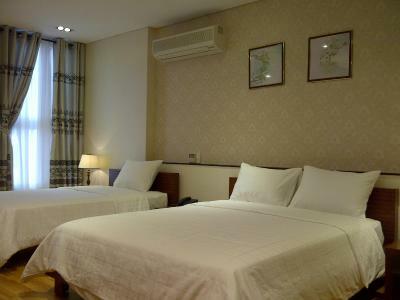 3 of us (1 adult, 2 kids) stayed in a VIP Deluxe Room, which was comfortable and very spacious. 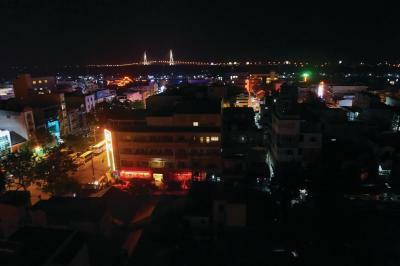 Unless being right on the Mekong river, the location can hardly be better. 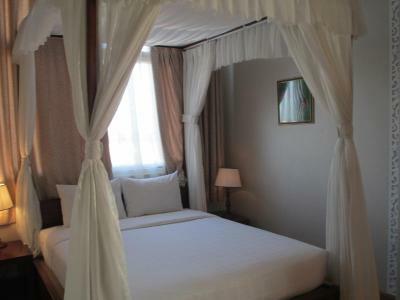 We highly recommend this hotel to couples or small families. Very central to all activities, shopping, and restaurants. Airy, light, ftiendly helpful staff, great tour guide for floating markets tour. Five blocks from river. 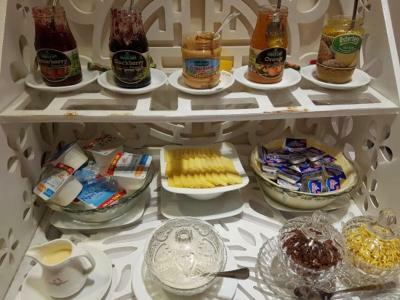 Lots of choices for breakfast. 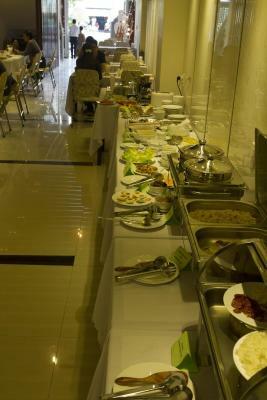 Great location, awesome Staffs, and extremely tasty breakfirst. 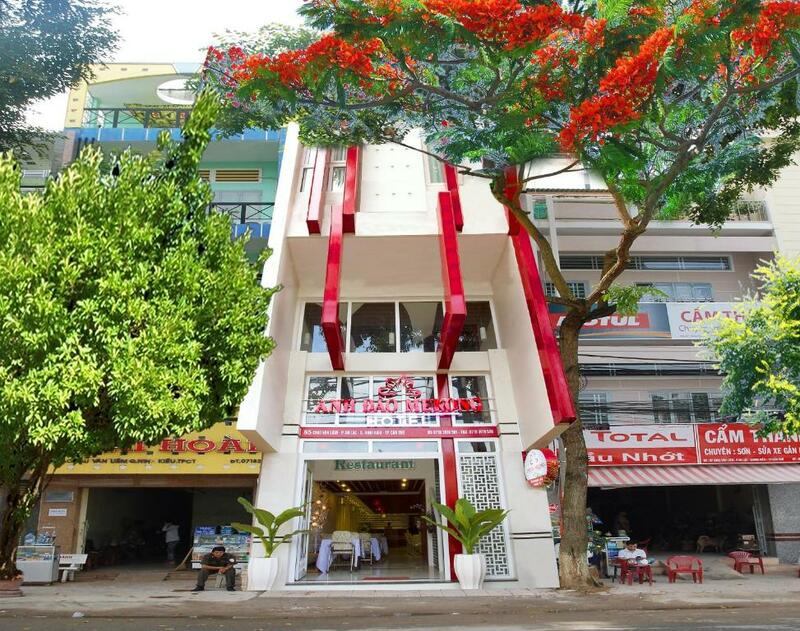 It is about 10 minutes walk to Ninh Kieu which is the main attraction in Can Tho. 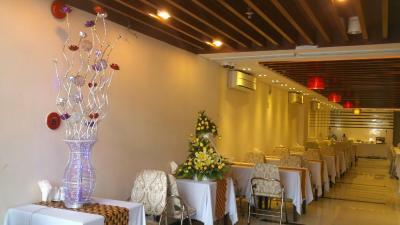 There are many good restaurants located near by. 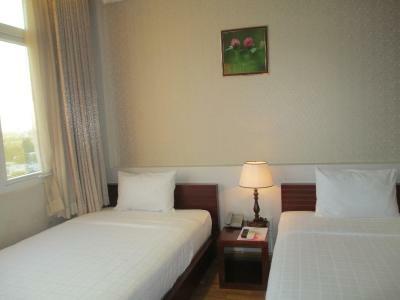 The price was fairly cheap compare to other hotel around the area. 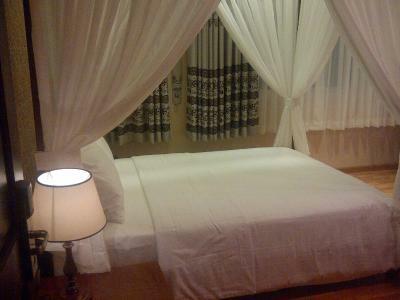 Room was nice, clean and comfy. 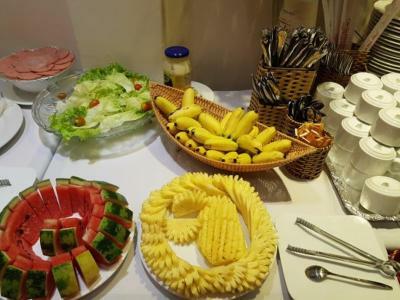 Their breakfirst was outstanding with many delicious choices. 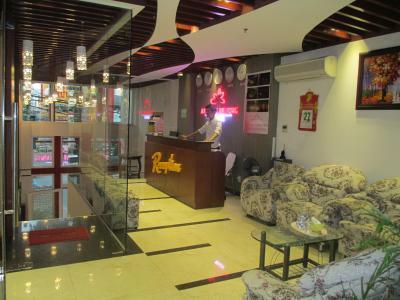 The staffs were friendly and helpful, especially the security guards who helped park my wife's motorbike. I stayed 13 days and overall a very pleasant stay. Very good location, helpful staff. They even provided packed breakfast for our early trip to the floating market. 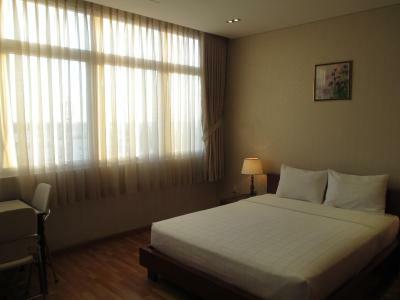 Rooms are well sized and clean. It is extremely good value for money. 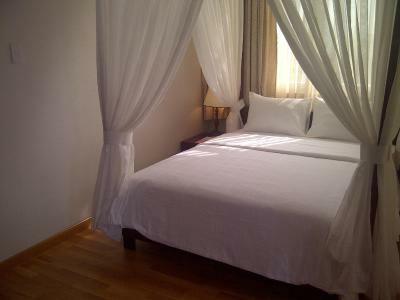 Anh Dao Mekong Hotel This rating is a reflection of how the property compares to the industry standard when it comes to price, facilities and services available. It's based on a self-evaluation by the property. Use this rating to help choose your stay! 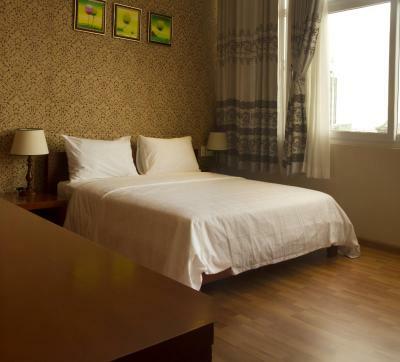 One of our top picks in Can Tho.Centrally located in the city, Anh Dao Mekong Hotel features a business center, restaurant and complimentary parking space on site. 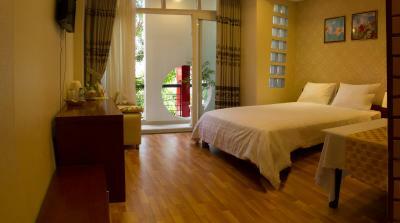 It provides free Wi-Fi access throughout the property and operates a 24-hour front desk. 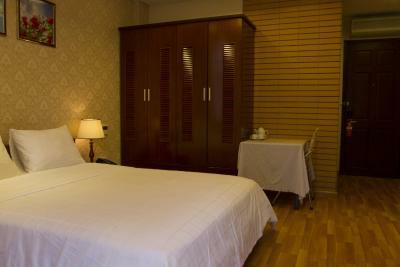 The hotel is within 1,650 feet from Ninh Kieu Pier and An Lac Market. 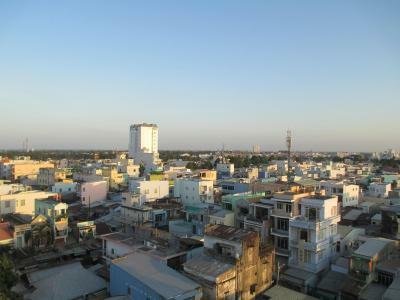 Can Tho Museum, Military Museum and Ong Pagoda are about 0.9 mi away. The famous Cai Rang floating market can be reached with a 4.3 mi drive. 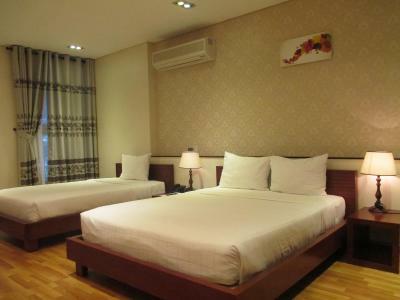 Elegantly furnished, air-conditioned rooms are equipped with a wardrobe, mini-bar, a flat-screen cable TV and seating area. 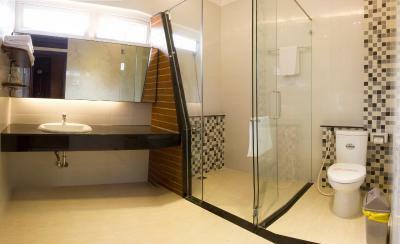 The private bathroom comes with towels, hairdryer, shower facility and slippers. Friendly staff at Anh Dao Mekong Hotel can assist guests with luggage storage, laundry service and meeting/banqueting facilities. 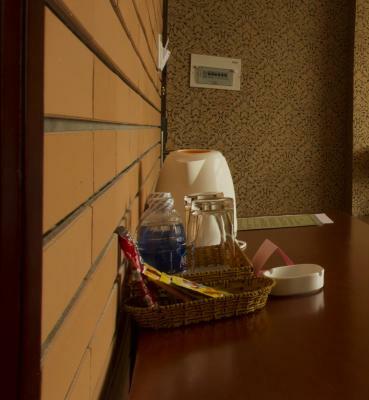 Sightseeing activities and travel arrangements can be made at the tour desk, while car rental and shuttle service are available at a surcharge. 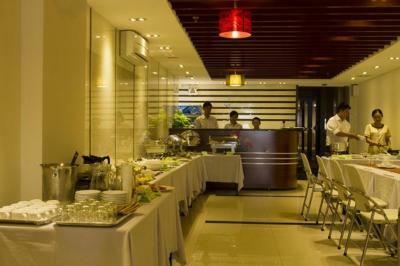 Serving delectable Vietnamese cuisine, the in-house restaurant also offers meals to be delivered to the rooms. Other dining options can be found nearby within 1,650 feet away. 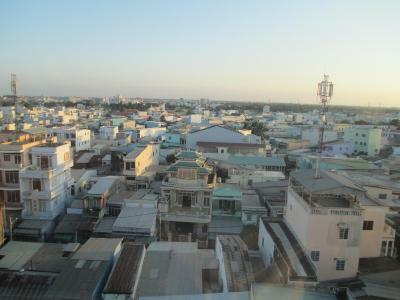 This property also has one of the top-rated locations in Can Tho! Guests are happier about it compared to other properties in the area. 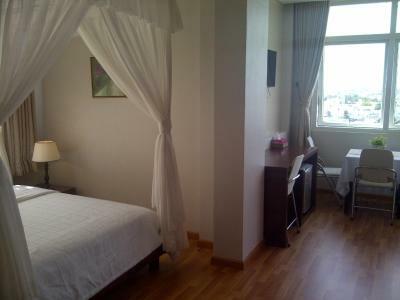 This property is also rated for the best value in Can Tho! Guests are getting more for their money when compared to other properties in this city. 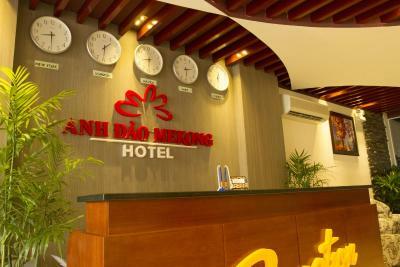 When would you like to stay at Anh Dao Mekong Hotel? 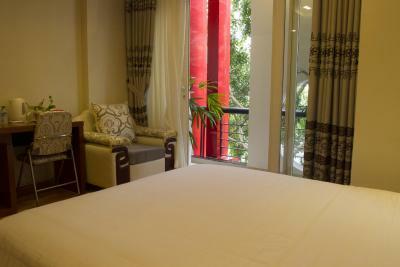 Offering views of the city, larger air-conditioned rooms are equipped with a wardrobe, mini-bar, a flat-screen cable TV and seating area. 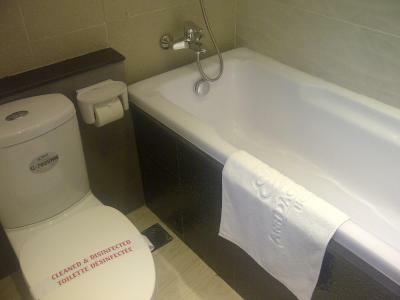 The private bathroom comes with bathtub, towels, hairdryer and slippers. 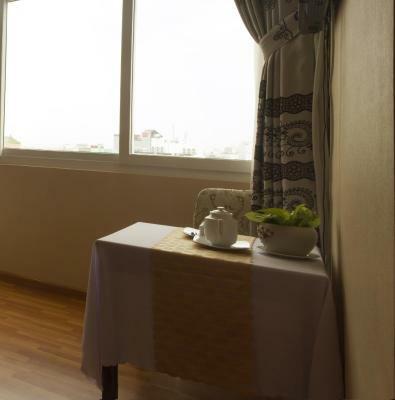 Offering views of the city, spacious air-conditioned rooms are equipped with a wardrobe, mini-bar, a flat-screen cable TV and seating area. 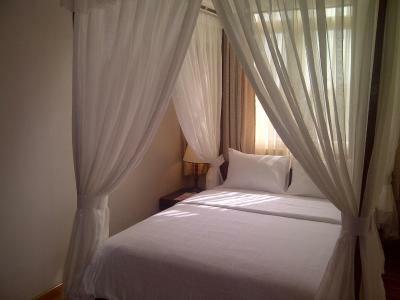 The private bathroom comes with towels, hairdryer, shower facility and slippers. This twin room has a tile/marble floor, fireplace and hot tub. 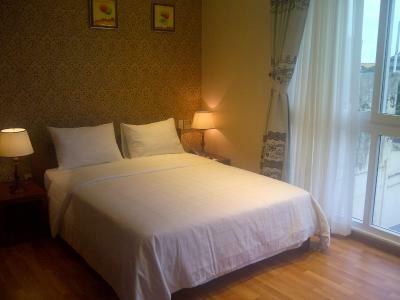 This double room has air conditioning, fireplace and cable TV. 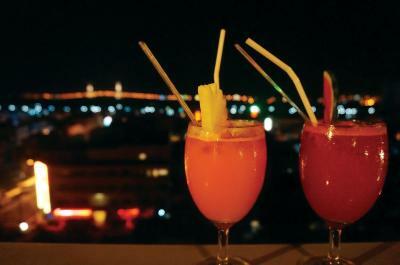 House Rules Anh Dao Mekong Hotel takes special requests – add in the next step! One child under 12 years is charged VND 57037.33 per night when using existing beds. 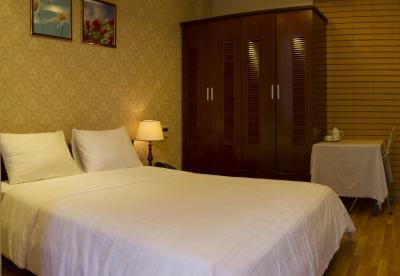 Any additional older children or adults are charged VND 205334.40 per night for extra beds. 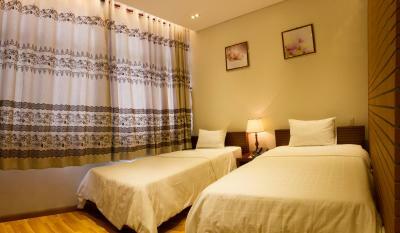 Anh Dao Mekong Hotel accepts these cards and reserves the right to temporarily hold an amount prior to arrival. WiFi is unstable and slow. Noisy during the day due to construction but that's pretty common in Vietnam. 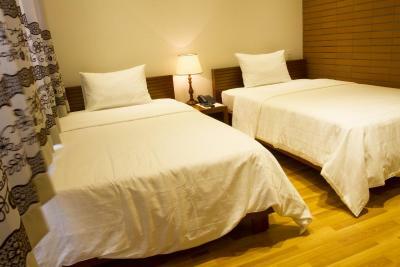 I had to move rooms twice on arrival but that staff dealt with it very well. Breakfast was good, local stuff. Nice quiet room at night. AC was good. Staff were helpful. Really nice staff and a very good breakfast. The cleanliness is terrible, the bed sheet looked dirty and there was some food left in the fridge. I had to wear a long pants to avoid the dirty on the bed. Location is good. 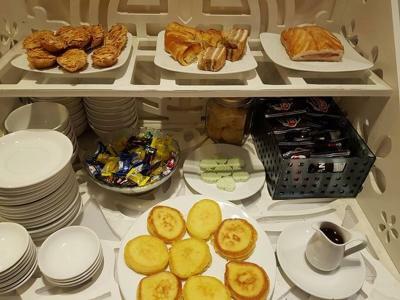 the breakfast was ok, not much local food but it was acceptable for me. Lovely little hotel in a great location close to all the sights. Buffett breakfast was plentiful and very good. Staff were efficient and friendly. Unfortunately our room was on the third floor and was facing the main street. It was very loud the whole night. In addition a lot of sun came in the room because there were some glass bricks. 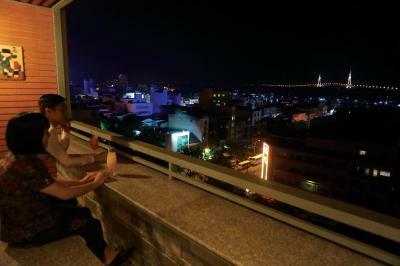 The hotel had a rooftop terrace bar which is closed. It would be perfect place to have drinks. Excellent breakfast. Very good service. Beds not particularly comfortable. Road noise from passing traffic. Breakfast not much choice. What upset us the most was our onward travel plans. We ask during checkout if they could call us a cab for the bus station I even showed him an email with address written in Vietnamese but the driver took us to the airport way out of town so cost us loads and missed our bus. Always check the onward destination with your driver. Good location for eating and river. 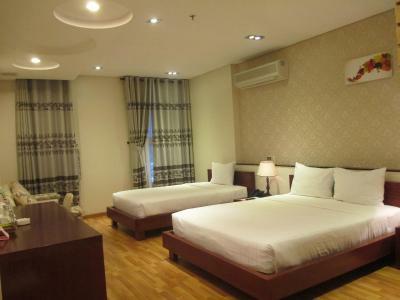 Hotel is clean and spacious. Rooms are a bit dated, but not an issue. Staff was very friendly and organised a boat trip to the floating market at a good rate. 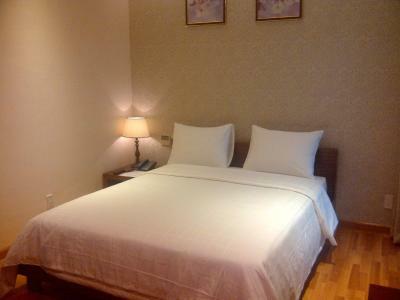 We had an excellent nightly room rate, but the cleanliness of the room, and the general need of repair and updating of this particular room, and bathroom, was really poor; even for the bargain rate. The hotel should use and advertise the rooftop bar, which appears to be shuttered and not in use for sometime. The Staff are really helpful and pleasant. They also arranged an amazing day trip to the floating markets for us. Breakfast was adequate. Not a pleasant street to walk down - have to walk in the road with the scooters. The room is a mess. Tables, chairs, even the tv decoder all over the place. I am very sure that at this price point theres much better choice around.